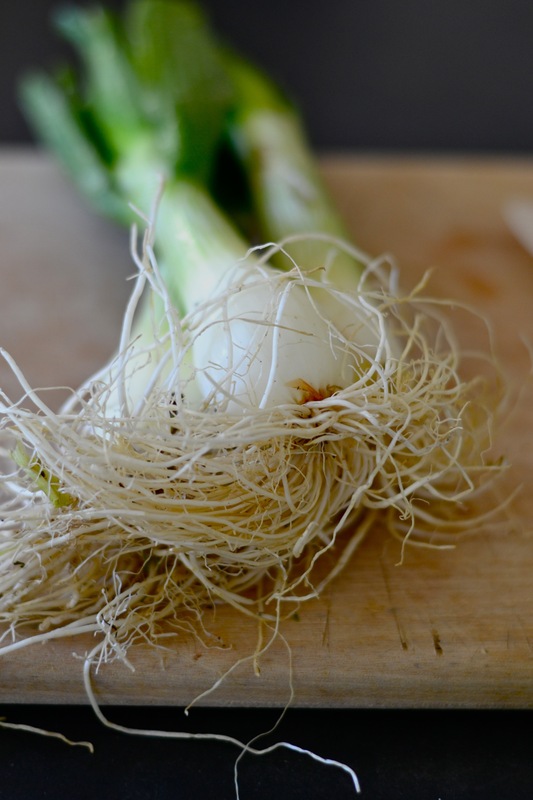 Celery root happens to be one of those often forgotten vegetables that’s really quite delicious–just rarely on our minds. Celery roots are also rather ugly, hence, you’ll notice there’s no photograph of one here. (I tried!) But they also offer good amounts of potassium, Vitamin C and Vitamin B-6. 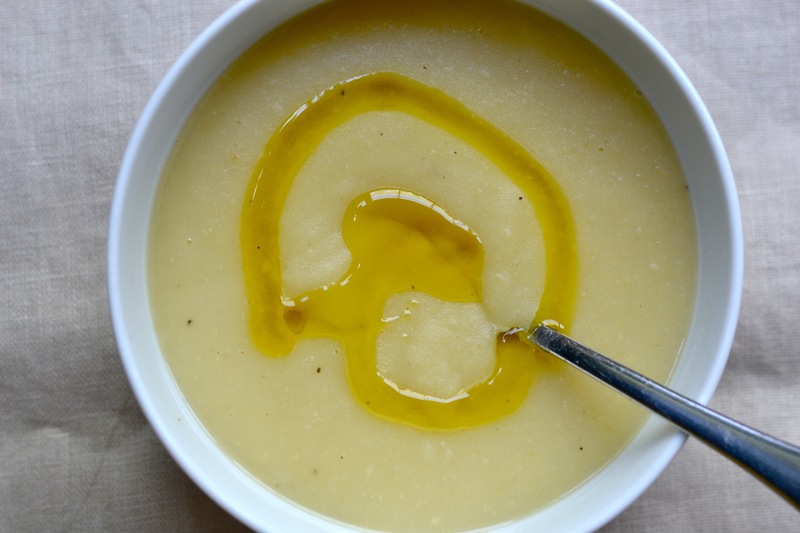 This odd-looking vegetable makes a delicious, thick and creamy soup, so I thought I’d share a recipe I like. Heat 1 1/2 tbsp olive oil in a large skillet or saucepan over medium heat. Add in the leeks and let them “sweat,” stirring occasionally for 3-5 minutes until they become soft and translucent. Stir in the garlic and cook for another minute or two. Add in the chunks of celery root, potato and apple along with the water and stock. Stir in the salt and a couple grinds of pepper. Bring to a low boil. Cover and reduce heat to simmer. 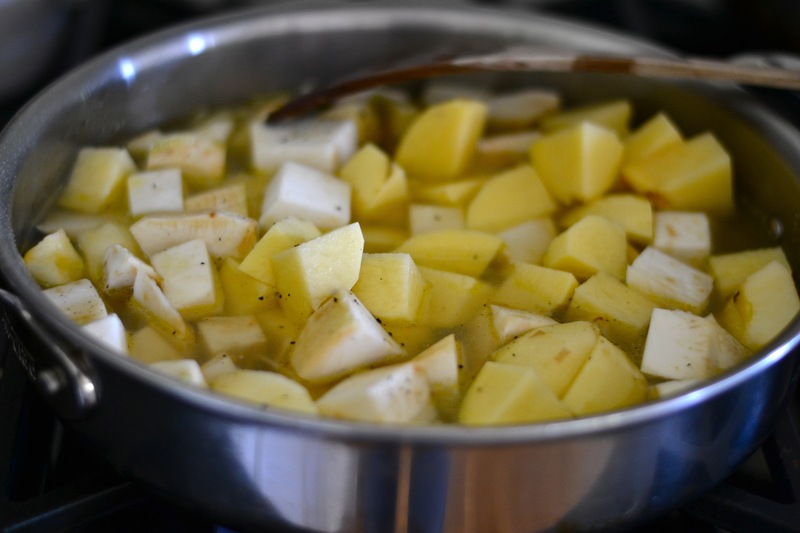 Simmer for approximately 20 minutes or until the celery root and potato are tender when pierced with a knife or fork. 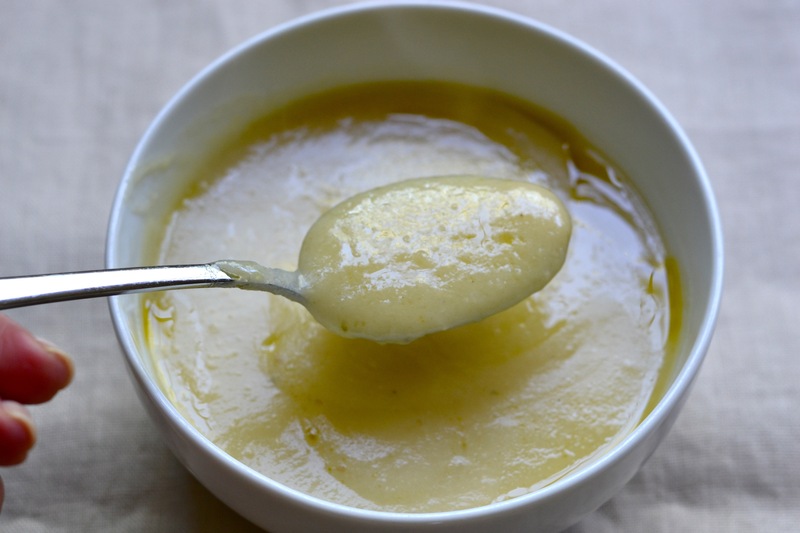 Puree the contents of the pan in a Vitamix or other high-speed blender until very creamy (or to your liking). Return to pan. Stir in milk of choice. Taste and adjust seasoning. Hi Teagan, If you’re a fan of celery root like I am, stay tuned. I’ll be posting another recipe using the root soon.